Besan Ladoo is one of my favorite sweet that I often prepare whenever there is a family gathering at home. In fact, I make Besan Ladoo in bulk during Diwali for the purpose of making gift boxes. Though popular all over the country but in North-India. Besan ki Ladoo is a popular delicacy. 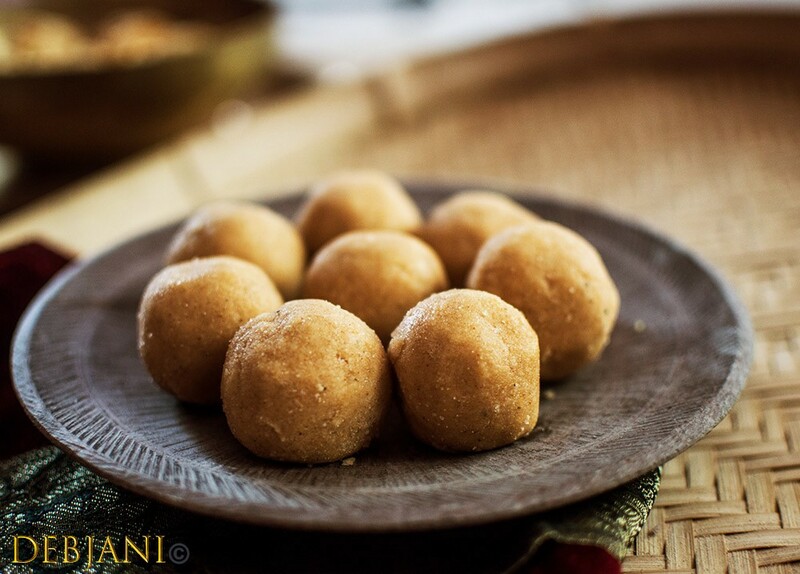 Though taste amazing and very rich but Besan Laddu actually prepared with very basic ingredients. I have seen my mother making it quite often. She used to make the Besan Laddu in bulk for us. The Ladoo can be stored for several days. Maa used to pack it for me while I used to go back to my hostel or workplace. Dry roast Besan along with Sooji in a deep vessel/ Karai for about 10 minutes in medium flame or till the mixture turns golden brown. Nutty aroma will come at this point. Melt Ghee in a Deep bottom pan. Now add roasted Besan and fry till it turns darker. Add cardamom powder and saffron strands and mix properly. 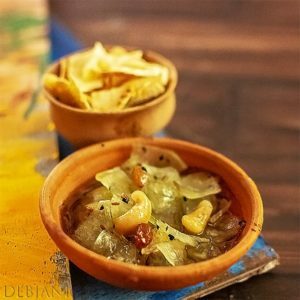 Roast chopped almonds and mix those with the besan mixture thoroughly. Remove the mixture from flame and mix powdered sugar with it. Pour the mixture into a big plate and allow the mixture to cool. Now prepare small balls of the mixture depending on your preference for size. “Besan ki Laddu” is ready to serve. 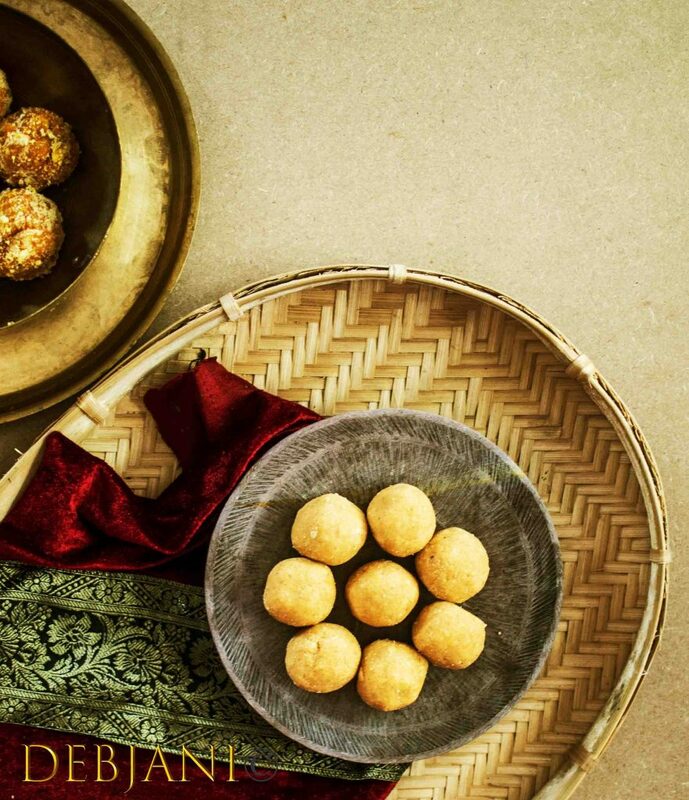 You can store Besan Laddu is an airtight container for several days. Pictures of Besan Laddu updated in 2017!